In today’s ever-competitive online ecosphere, the battle over rankings and social media platforms continues to grow. First there was MySpace and LinkedIn. Soon after, Facebook and Twitter sprung up. YouTube and Tumblr continued to grow. And now, Google+, the fastest growing social network in online history, is clearly making its presence felt in search engine results. Perhaps you’ve seen the little +1 button popping up everywhere? But you’re not sure what it is? Similar to the Facebook ‘like’ button, the Google ‘+1’ button can be featured on your website, your blog, your video or any anything else you want to promote. When users click ‘+1,’ your rating goes up and user interest is generated. But the key benefit of the ‘+1’ button is that the activity is fed back into Google’s search engine results. While this doesn’t directly boost your search engine rankings (not immediately, anyway), the ‘+1’ button is crucial in both increasing the click-through-rate to your site and also in improving how much your content is shared on other platforms like Facebook and Twitter. Why does this matter? Well, more relevancy = more traffic, more sharing and more referencing. And this, in turn, can lead to a higher SEO ranking for your business. 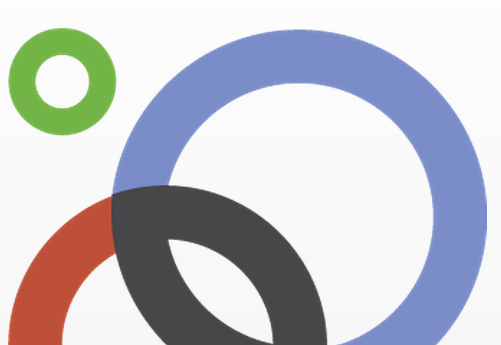 With the incorporation of ‘Circles’ in Google+, users now benefit from being able to share content with a chosen number of connections in particular circles or groups. This means that when you post content on your Google+ page or if someone “+1’s” your content or site, this will be visible to everyone in your circles (or the circles of those rating your blog or site). In this way, circles can be used to promote awareness of your business – the more people hear about your business, the more likely your traffic will increase, which in turn can impact your sales dramatically. Google also recently launched “Search plus Your World” – a search function that personalises a user’s search results, returning content not only from the public web, but also from their Google+ connections, profiles, posts and business pages. So, when users conduct searches using ‘Search plus your World’, Google+ business pages and brand pages now have a chance of ranking higher than content and pages featured on other social sites. For those with up-to-date business pages and large circles, the differences could be phenomenal: In an ordinary search, you might see your business listed on the fifth page of results. But with a Google+ page, your business could be displayed at the top of a user’s search results, if you happen to “share” some connection with the user (bear in mind, though, that the user has to have the ‘Search plus Your World’ function turned on). If you have a small Google+ network, this probably isn’t going to affect your business much; but if you have a large network, the difference in your rankings in searches conducted by people in your circles could be huge. And while you’re not taking over the Google-sphere just yet with your rankings, it’s a pretty good start. 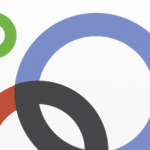 Now, rather than later, is a crucial time to set up your Google+ page. Clear instructions on how to set up a Google+ account and business page can be found in this ‘how to’ guide on Mashable. However, for a more effective strategy, you may want to think about employing an SEO agency, who can incorporate Google+ as part of your SEO services strategy and monitor how Google+ and the +1 button impact your rankings. If you need help understanding all this, give us a shout!